It’s hard to imagine a better way to enjoy the outdoors than paddle boarding. Not only is it relaxing and fun, but it’s also a good form of exercise. 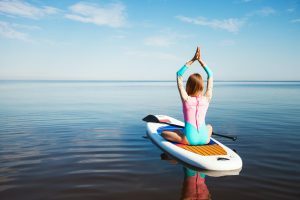 Paddle boarding is extremely safe when compared to other sports, but that doesn’t mean that accidents don’t sometimes occur. Sometimes these accidents can even be fatal, like in New Hampshire and on the Tennessee River. While tragic, almost all of the serious accidents can be avoided by following general safety guidelines. By following these 7 SUP tips, you and your family can enjoy paddle boarding safely. Out of all the SUP tips, this one is the most likely to protect you from serious injury. There is absolutely no reason to go out without wearing a PFD/lifejacket. In the two fatal accidents above and almost all fatal accidents, there is one consistency: the lack of a PFD. People hear this and inevitably think that they are the exception to the rule because of their swimming skills. Maybe they’ve gotten in their cars, and are almost at the beach before realizing they left their PFD at home. It might be an inconvenience to have to drive back home, but it’s better to have it and everything go fine than not have it when an emergency occurs. There are some that only want to wear a PFD when they are on a river because the falls there can be far more severe. While rivers can be more dangerous, it’s all about developing good habits. Wearing it no matter where you are paddle boarding helps to ingrain the habit of having it into your head. Remember that the ocean is a dangerous place as well. There are many lives lost at sea that could have been saved by having a PFD and following standard SUP tips. 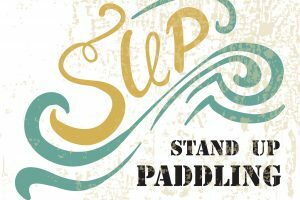 No matter how experienced you are with your SUP, there is a good chance you’ve neglected this more than any other of the SUP tips. Whether you are paddle boarding on a river or on the ocean, an unexpected change in the weather can derail your plans. In a worst case situation, it can lead to serious injury. Check the strength of the tides and currents as well. You don’t want to end up getting stranded in the middle of the water because conditions are worse than what you are used to. Make sure you check for potential trouble spots if you are going to a new area. 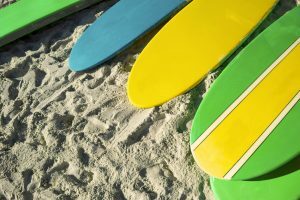 Driftwood, sandbars and the like can damage your SUP and your body. A storm coming in while you are on the water can kick up major waves, putting you at risk of falling in. These storms can also cause current changes. When put together, these two things can lead to disaster. Storms can also mess with visibility. As someone who has been out on the water, I can speak personally to the fact that not being able to see the shore can be very disorienting. These SUP tips will not work if you can’t see. Even if you have a PFD on you, storms can hurt you. If your PFD requires a string to be pulled in order to inflate, you could be knocked unconscious and unable to activate it in time. Take three minutes before you go out to look at your weather report. It can save you time and keep you safe. It’s the easiest of all the SUP tips. Sometimes I’ll see experienced paddle boarders that aren’t wearing the leash that connects them to their SUP. This isn’t good. People will use the same logic with the leash that they use with their PFD: they are good swimmers, they’ve been in situations before and been fine, and besides, they argue, what’s the chances of something bad happening. The chances are small but that doesn’t mean that they are non-existent. It takes one bad moment for something to go horribly wrong. The leash isn’t just there to make sure that you can get back to your board if you get knocked over by a major wave. It’s also there to protect the people around you. Imagine your board getting hit by a wave and you coming off of it. If your board is out of arms reach, it has just become a hazard to other people around it. There have been many cases of a SUP hitting others and knocking them unconscious. This could have been avoided by simply wearing the leash. The best SUP tips aren’t just for your safety, they are also for the safety and consideration of the other people around you. Speaking of leashes, make sure that you are using the right leash, and other proper equipment for where you will be taking your SUP. If you are on slow water or in the ocean but not in the surf zone, use a coiled leash. You don’t want to use a coiled leash when in the surf zone, as it can make your SUP spring into you. If you are in a more extreme type of area, such as fast rivers or whitewater areas, you will need a quick release leash. You will want to make sure it’s attached to your upper body. Attaching it to your leg will make it harder to reach if you tumble over, and it could lead to your board dragging you into debris or under the water. You should also be prepared for different temperatures. If you are in warm water, your normal attire should be fine, although you will want to make sure you have sunblock and bug spray on you. If the water you will be in is cold, you will need to wear full body protection that also protects against exposure. Falling into cold water can cause your body to go into shock, or you could pass out. Make sure that your equipment is working as well. Practice with your PDF to make sure that you know how to inflate it at a moments notice. You don’t want to discover it isn’t working properly when you need it the most. Also, check to ensure that your full body exposure wear fits properly. It needs to be tight to ensure that it doesn’t slip off of you. You also don’t want the cold water getting into your suit and being held against you by your suit. By following these SUP tips for equipment, you’ll be prepared for any type of environment. The only thing better than paddle boarding is sharing the experience with your friends. Not only is it a great way to unwind and bond, but it can help protect you as well. A lot of people like being on their board alone, enjoying nature and their thoughts. While this is a charming thought, it’s also a potentially unsafe one. Even if you do everything correctly, a bad situation could arise. Weather can change unexpectedly and without warning, especially if you are in a state like Florida or the Midwest. The last thing you want to do is get caught in a summer storm that popped out of nowhere with no one around to help you find your way to shore. If you were to take a nasty fall, your friend can be there to help you as well. A large number of deaths occur that could have just been accidents if someone else was there. It’s also a great opportunity to learn. You can share SUP tips with your friend while you’re on the water and learn from each other. Swap stories about different locations you have been and learn about new spots. Find some mutual friends and set up a SUP group, inviting new members to come out with you. Your group could even set up lessons for young people. Share all of the SUP tips you’ve learned to make sure they are safe as well. You’ll make new friends and give back to the community! If you are feeling really adventurous, ask the cute guy or girl from the coffee shop if they want to come with you. It’s a date that they will remember, and will offer the perfect setting for you to get to know someone. If you are a beginner, make sure that you read as many SUP tips as possible and don’t push yourself too far. Seeing more experienced people do things can make you want to try them, but remember that they started off just like you. Having someone with you is especially necessary if you are new to using a SUP. Look for classes in your area. They can help you meet people that can share their tips on how to use a SUP safely. If you know how to swim but aren’t a great swimmer, start there. It never ceases to amaze me how many beginners will assume that they will never fall off their board. No matter how long you’ve done it, you will fall off and will need to be a skillful swimmer in some of those situations. No list of SUP tips can stop this from happening. If you’ve never swum against a current or in choppy conditions, learn this before even thinking of going to SUP. Remember as well that you aren’t very mobile while you are out on the water with your SUP. You will need to keep an eye out for any potential hazards and make adjustments earlier than you think. As a beginner, don’t SUP in overly active places. 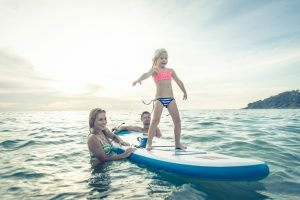 There is simply too much going on around you in active places, and you should be focused on getting comfortable with your board and learning the basic SUP tips. 7.) Never, Ever Let Go of Your Paddle. This really can’t be emphasized enough. Your paddle is your best friend while you SUP. It should be an extension of who you are. It might seem like a strange addition to SUP tips, but learning how to fall is important. The initial impulse when you fall, particularly into a body of water, is to flail your arms and drop everything you have to correct the situation. You have to fight against this urge. 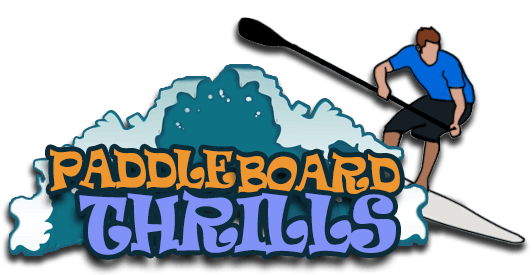 Your paddle can help stabilize you and serves as the brakes and accelerator for your board. Without it, you will be left trying to prone paddle yourself out of harms way and back to shore. If you are about to get wiped out by a wave or debris, jump away from your board with both hands wrapped around your paddle and your arms in the air. Try to hit the water flat, lowering the chances that you involuntarily drop your paddle. This helps you hold on to your best friend and has the added benefit of making your fall look exponentially cooler. There are times where you will drop your paddle though. Don’t worry, it happens to the best of us. You need to get it back as soon as you safely can. If it is close to you, swim for it. If it’s farther away and you can reach your board, get on it and prone paddle towards your paddle. The idea is to get it as quickly as possible so that you can use it to get you out of harm’s way if need be. After reading some of these SUP tips, it might seem as if it is a dangerous activity, but it’s really not. Millions of people every year experience the joy of going to SUP without incident. The intention isn’t to scare anyone away from using a SUP, it’s to provide a realistic look at how important safety is. Everyone believes that there is no threat until a disaster happens. The best way to have fun is to be safe. 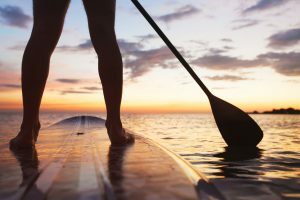 If you follow these SUP tips, you will have far less to worry about, meaning that you can focus on enjoying the experience. Our site is all about making sure that you have fun on the water in a safe way. 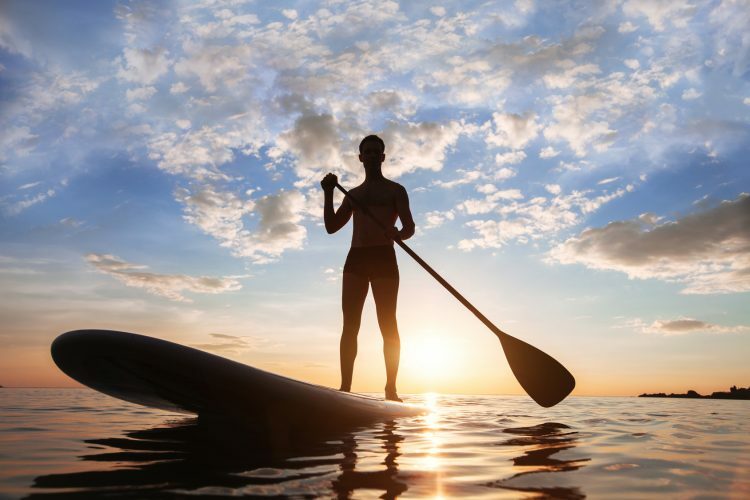 Paddleboarding is a great way to stay active and relax. We offer SUP tips for beginners all the way to veterans. 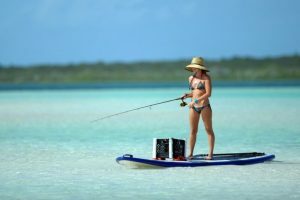 We are here to help with information and reviews on some of the best SUP products you can get. 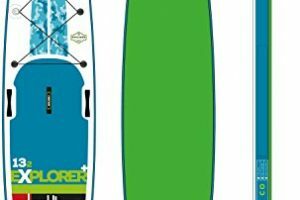 These products are great for new and veteran paddleboarders alike. If there are any questions about our reviews or blog content, or if you just have some cool SUP tips to share, make sure you leave a comment or contact us here!